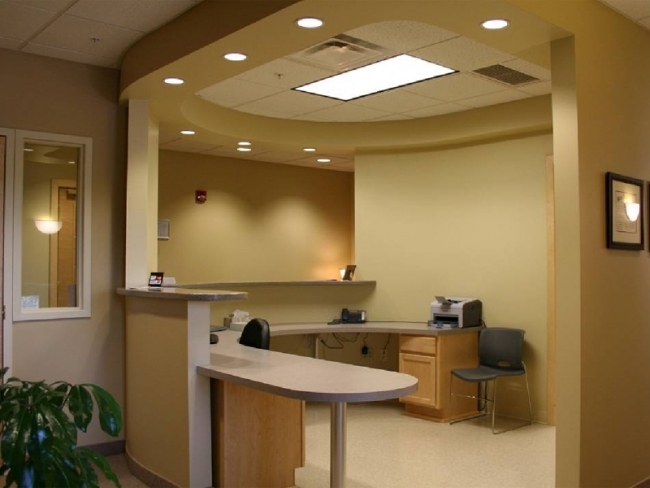 This project was a new periodontist clinic within the County Line office building. It included five treatment rooms, a lab, sterilization room, waiting room, and offices. The project also included piping of medical gases. The space was designed for maximizing work flow within the suite while providing a warm, comfortable feeling.